Credited with creating the first small, disposable inline carbon filter over 40 years ago, Omnipure Filter Company revolutionized the water filtration industry. Omnipure's product line has evolved and grown dramatically with the increasing need for pure, non-contaminated drinking water. 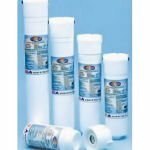 Producing dependable products for both commercial and residential use, Omnipure filters can be found in the food, beverage and vending industries as well as in home water filtration applications. Omnipure prides itself on ensuring that each product has been scientifically tested and goes to NSF for independent product verification based on quality performance. The OmniPure SCL10 Inline Filter effectively reduces Chlorine, Taste & Odor, as well as Scale from your drinking water. Installation instructions included directly on the filter. Features FPT Connections. The OmniPure K2586-JJ In-line Carbon Filter reduces Chlorine, Taste & Odor, and Scale from your water. Installs directly onto your 1/4" copper or plastic water line. Installation directions included on product. The Omnipure Q5640 Q-Series Replacement Cartridge is comprised of acid rinsed coconut shell granular activated carbon, which is very efficient at reducing chlorine taste & odor as well as bad tastes & odors, providing you with great tasting water. 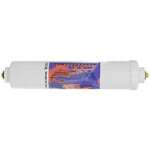 Omnipure CL10RO-T/33 GAC Inline Filter uses granular activated carbon to reduce chlorine taste and odor from your drinking water. Installation instructions located directly on filter. Quick and Easy installation. The OmniPure K2333 KK In-line Carbon Filter reduces Chlorine Taste & Odor and installs in-line onto your 3/8" water line with John Guest fitting. Instructions come directly on the product. FQC connections. Used as a post filter in Culligan systems.. 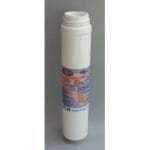 The Omnipure K2533 Inline Carbon Filter reduces chlorine taste and odor from your drinking water. Installation instructions located directly on filter. Quick and Easy installation. 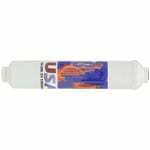 The Omnipure K5633 Inline Water Filter is a granular activated carbon filter that attaches directly to your water line for cleaner, better tasting water. 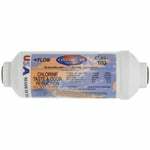 Reduces chlorine, taste & odor, and sediment. Great Polishing filter for RO systems! 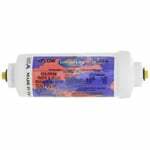 The Omnipure Q5633 Q-Series Replacement Filter is a Granular Activated Carbon cartridge used in the PuROTwist 3000 and 4000 Reverse Osmosis Systems and Twist Tap Filter Head Models QNVH B,C, or J with automatic shutoff. Easy to install! 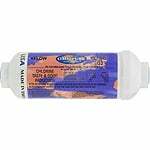 OmniPure CL6ROT33-B Carbon Water Filter 1/4"
The OmniPure CL6ROT33-B In-line Carbon Filter reduces Chlorine Taste & Odor and is designed for use with reverse osmosis and distillation systems. The CLR6ROT/33 B contains Granular Activated Carbon and can replace Microline S7206C-06 and Ametek. 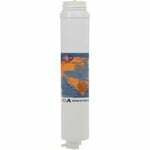 The Omnipure Q5605 Q-Series Replacement Cartridge is a 5 micron sediment filter used to reduce dirt and sand in your water. This filter fits Omnipure Twist Tap filter heads QNVH B, C, or J, with or without automatic shutoff. The OmniPure K2386-JJ In-line Carbon Filter reduces Chlorine, Taste & Odor, and Scale from your water. Installs directly onto your 1/4" copper or plastic water line. Installation directions included on product. The OmniPure K2333-JJ replacement in-line water filter installs onto your 1/4" water line and connects to appliances such as refrigerators or reverse osmosis filtration system. 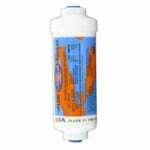 The OmniPure CL6ST T/33 Inline Filter effectively reduces Chlorine, Taste, and Odor from your drinking water. Installation instructions included on the filter. The Omnipure K5605-JJ Inline Sediment Filter installs easily using Quick-Connect fittings and reduces dirt, sand, and sediment in your water. The Omnipure Q5754 C-249 Resin Cartridge, also known as the QWS Water Softening Cartridge, is a cation exchange softening cartridge which reduces hardness and scale deposits. Attaches to any permanent Q-Series Valved or Non-Valved Head. The OmniPure K5686 In-line Filter reduces Chlorine, Taste & Odor, and Scale from your water. Installs directly onto your 3/8" or 1/4" copper or plastic water line. Installation directions included on product. 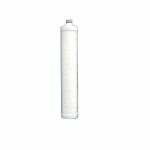 The OmniPure E5720-P E-Series Filter Cartridge is the equivalent to the Everpure BH, H200, EV961250 replacement cartridges. The E5720-P is a 1 micron carbon block for chlorine, taste & odor, and phoshpate/scale reduction. The Omnipure K5615 Inline Water Filter is a 1 Micron Cyst Reduction filter that attaches directly to your water for cleaner, better tasting water. The K5615 reduces chlorine, taste & odor, cysts, and lead from your drinking water. The OmniPure K2586-KK In-line Carbon Filter reduces Chlorine, Taste & Odor, and Scale from your water. Installs directly onto your 3/8" copper or plastic water line. Installation directions included on product. The OmniPure E5515-P E-Series Filter Cartridge is the equivalent to the Everpure H104, H-104, EV961216 replacement cartridges. The E5515-P is a 1 micron carbon block filter used for chlorine, taste & odor, lead and phoshpate/scale reduction. 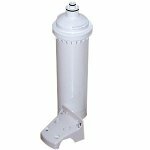 The OmniPure K2385 Inline phosphate filter effectively reduces lime and scale from your drinking water. Installs directly onto your copper or plastic water line. Installation directions included on product.